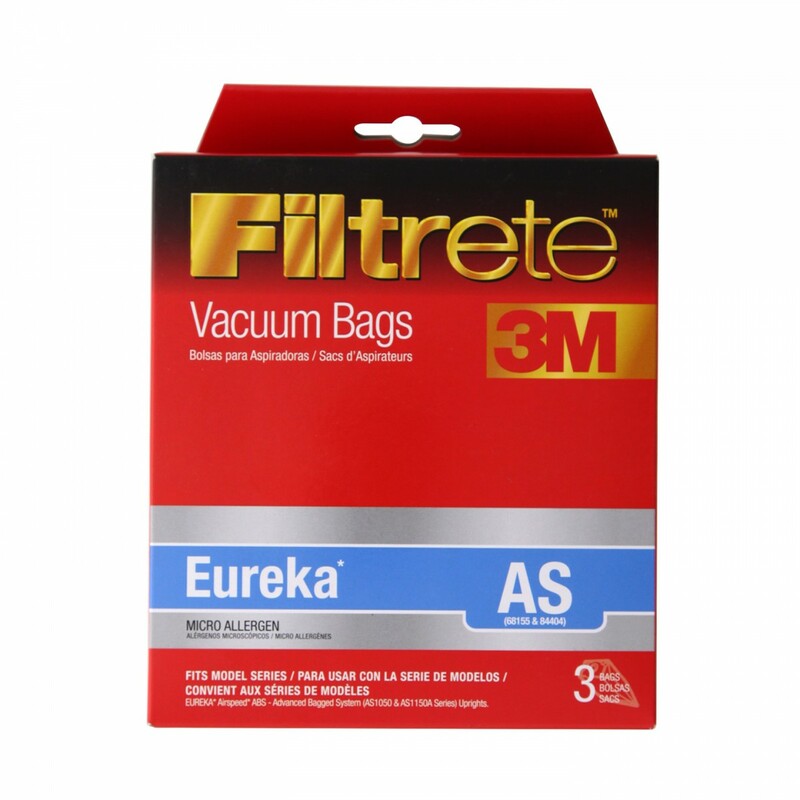 Fits Eureka AS1050 and AS1150A Series Upright models that use style AS vacuum cleaner bags. 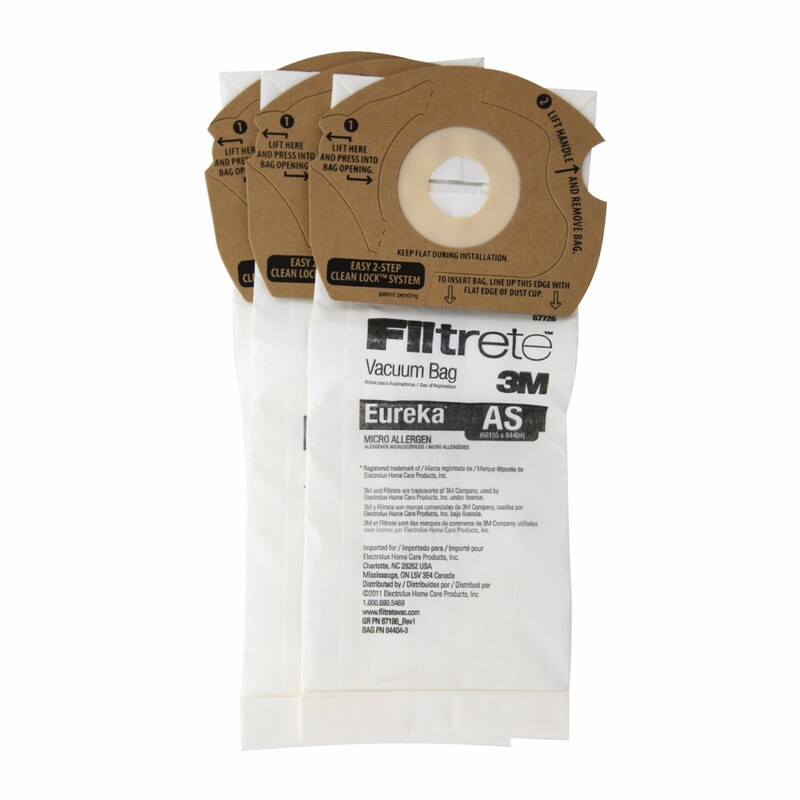 Equipped with 3M technology, 67726 Filtrete vacuum bags help your Eureka pick-up and capture more dust, pet dander, pollen, bacteria and more. 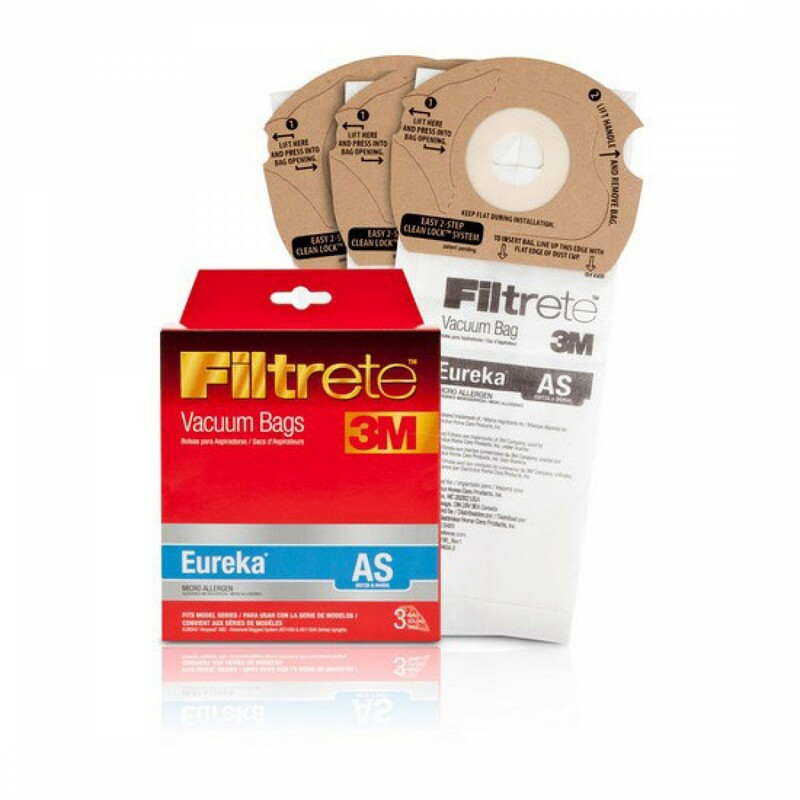 If replaced once every 1 - 2 months, based on usage, these will help reduce the flare-up of allergy symptoms and improve the quality of your indoor air. A genuine OE part. 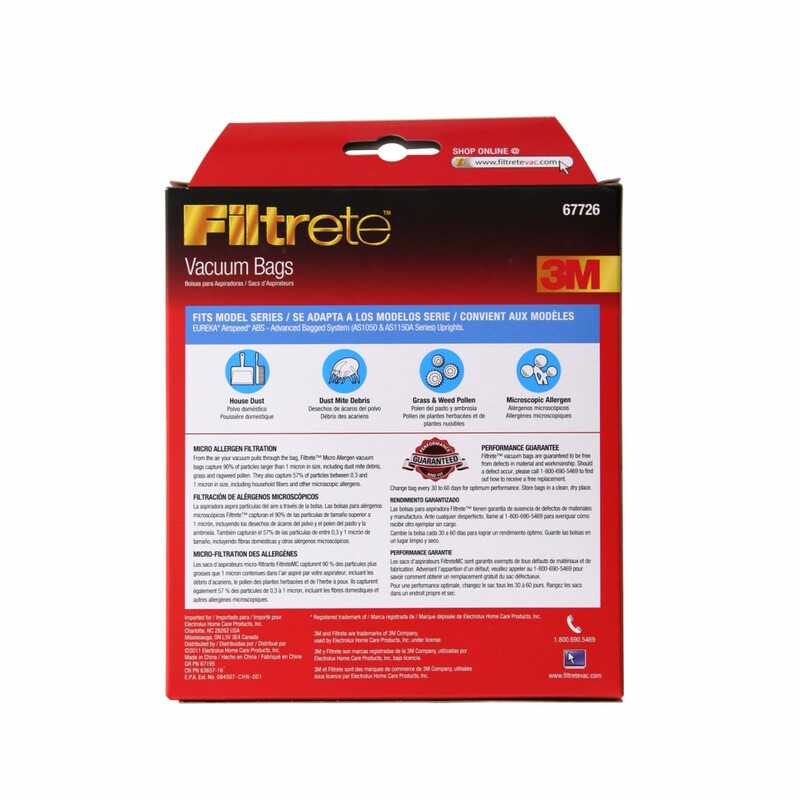 Get the 67726 3M Filtrete vacuum bags your Eureka needs by ordering online from us today!